Business owners looking for quick funding options turn to Silver Rock Funding. It’s June. So naturally, things are about to heat up for most Americans. Quick funding options help business owners to cover those expenses that occur as we move into the third quarter of the year. Silver Rock Funding works with hundreds of business owners every month. These entrepreneurs are looking for ways to cover the costs that come with business ownership. Banks aren’t always reliable. Credit issues can interfere with investment possibilities. That’s why Silver Rock Funding’s network of lenders could be the right solution for your business. In 2016, Silver Rock Funding connected entrepreneurs with nearly $4 million dollars. This smart form of quick funding has huge perks. Funding is awarded within 72 hours. There is no need for a credit check, credit does not disqualify candidates. You can complete the free application online. You will hear from a funding manager quickly. Get started. 1. Apply — approvals happen within 24 hours, for those who qualify. That means that within 24 hours you can get a business loan from a trusted investor. The application process is simple and free. Plus, you are under no obligation to accept. You will be connected with one of our trusted alternative lenders. 2. Get Funds — funds are typically added to your bank account within 72 hours. Once you accept the terms and the investor, get a business loan in a matter of days. This summer, we provided a Consultant Business loan to a company in Minnesota. Up to $500,000 is available to established business owners. 3. Use Business Loan — business owners are free to use our quick funding in any way they would like. Continuing education? Investor capital can pay for that. Purchasing new merchandise? There is funding for that. One trucking company loan dispersed in Illinois used funding for merchandise and to fulfill contracts. 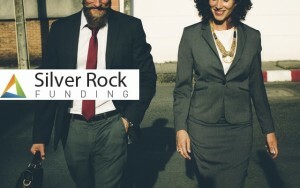 Your business is now a part of the Silver Rock Funding family. Whether you need to get a business loan through our services or enjoy the information on our blogs, we are happy to have you in the family. Now is a great time to get started on your path to a business loan. If you have been approved in the past, funding is available. Denials do not mean you won’t qualify now or in the future. Complete an application, right now. Next Post: What Is the Fastest Way to Get a Business Loan?